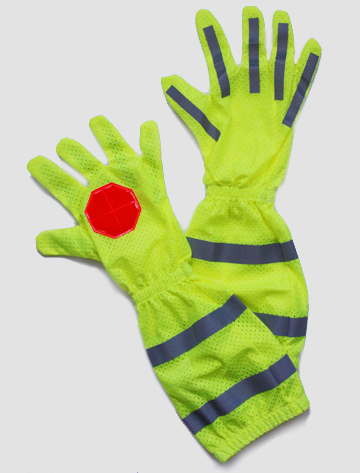 This style of Signalman’s Safety Sleeve is designed for construction signalman working with heavy equipment operators. 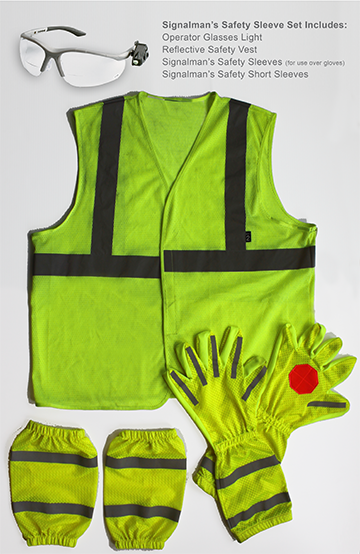 We are now offering sleeves designed for traffic control. 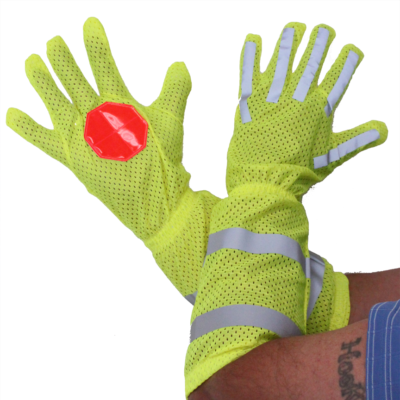 Thin, lightweight, safety sleeves for heavy equipment signalman. 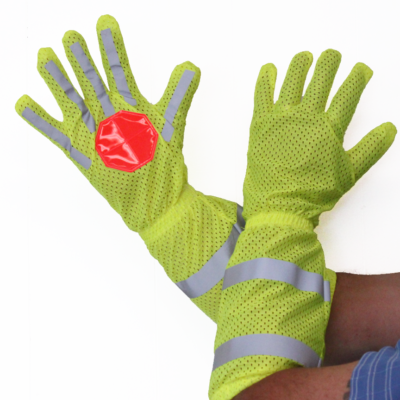 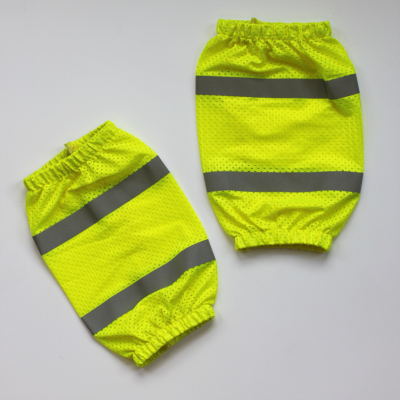 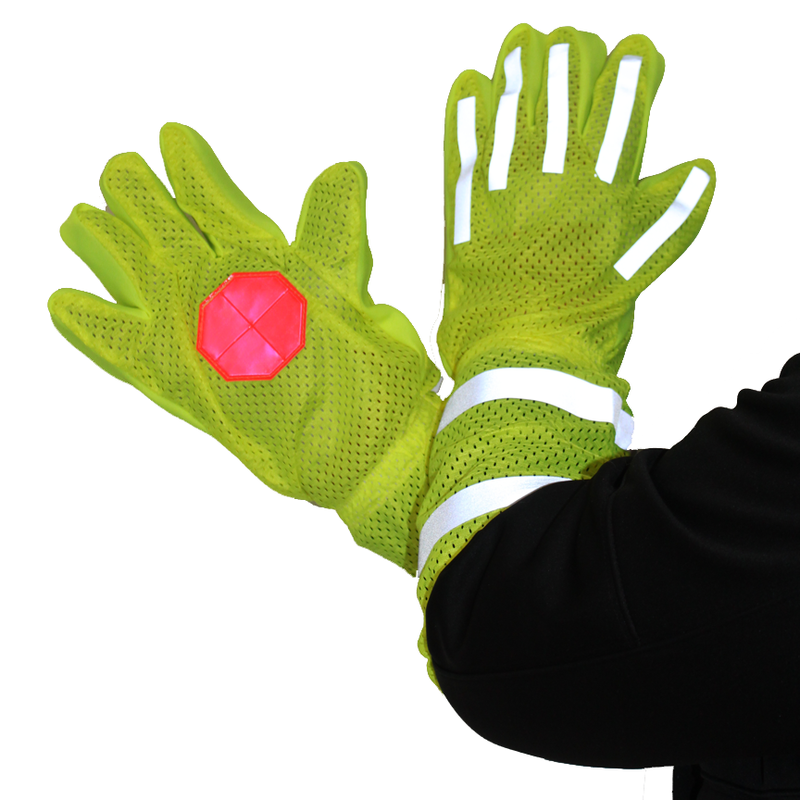 Made from safety vest material to be worn over protective work gloves. 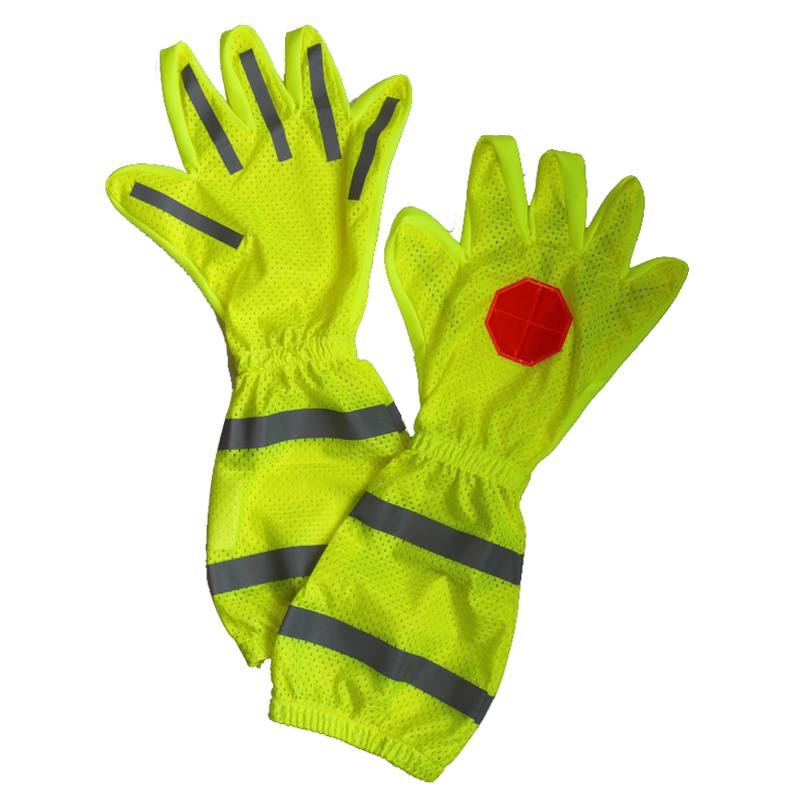 Reflective stripping on the outside of the hands for high visibility in bright or low light situations. Reflective stop sign on palms. 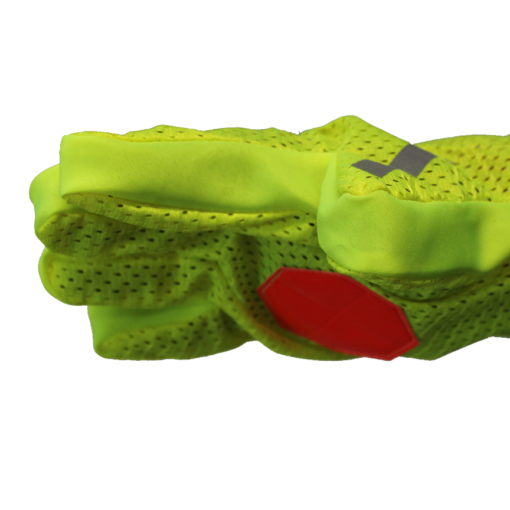 Our Winter Fit Sleeves are larger than the original summer fit and can easily fit over work gloves.